In the previous week we took a look at two of the most frequently used fabrics in jackets, which are polyester and polyamide, or nylon as it is more commonly known. We looked at each separately and also how they compared to each other, while considering the factors that would make each of them the better choice for certain jackets. Today, the same thing will be done, however with two different materials: leather and polyurethane, or more precisely real leather and polyurethane leather. 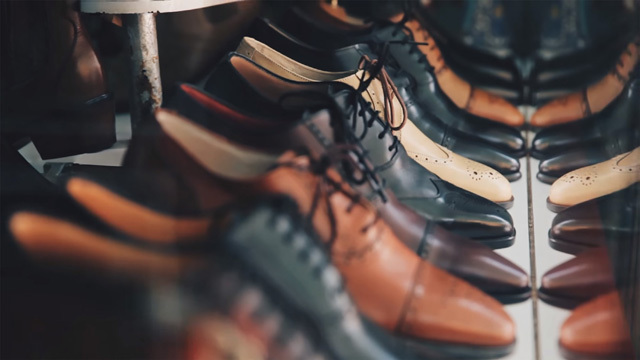 These fabrics are most commonly used in shoes, but also in other garments, such as jackets, pants, leggings, bags and accessories like belts or bracelets. The reason for looking at these two types of materials is because they are alternatives to each other. What we mean by that is that either can be used on the same exact product and the difference will be very difficult to tell. The reason for this is Polyurethane (PU), which is a material that acts and feels like leather. So much so that there are numerous guides all over the web on how to tell the difference between the two, as sometimes it can be incredibly hard to tell them apart, especially with high quality PU leather. Now it’s time to take a look ourselves at the differences and similarities between the two, as well as on how they are used for jackets. One of the most versatile polymers to have ever been developed, Polyurethane (PU) was originally created to substitute rubber during World War II, which was scarce at the time. Through the times of war and then continuing after the war had ended, PU was still being used and further experimented with, in order to see where else it could be used. It was through these numerous developments that we are able today to use PU in so many different ways, such as in appliances as rigid foams, construction, flooring, electronics, in the medical field and many other areas of our daily lives. What interests us is its use in apparel. This came to be after it was discovered that PU could hold shape as fine threads, that were later combined with polyamide for durable and lightweight clothing. It is not solely its versatility that makes it so useful, but also how it behaves as a material. Being extremely durable and quite flexible are two of its main qualities, which explains why it is so widely used in so many different products and industries. It is a waterproof material, too, which is why it can be found in many different outdoor gear and clothing. Now, when looking specifically at PU leather, this is typically a layer of polyester coated with PU through heat binding. It is one of the several types of faux leather, along with PVC and other variations. This was a very useful discovery, as it reduces the use of actual leather in clothes and furniture, which is considerably more expensive than PU leather and to some is also an ethical concern. 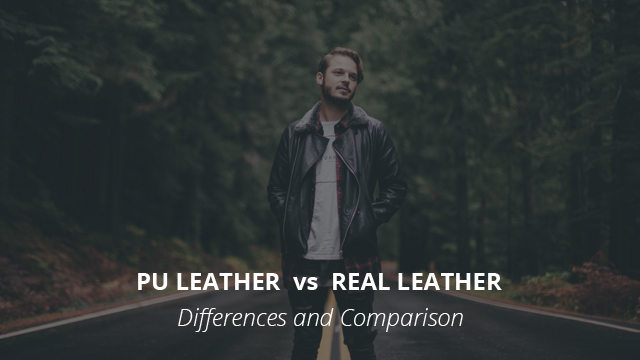 We will be looking at the differences and similarities of PU leather and leather down below. 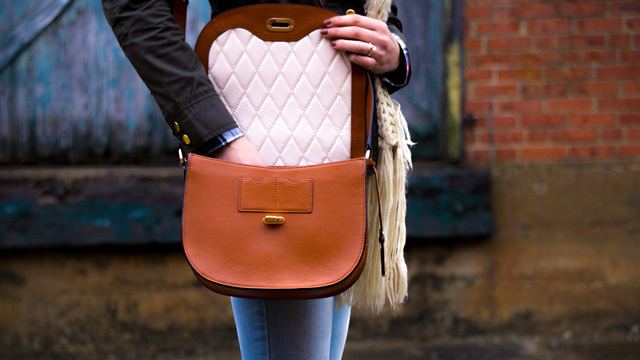 Leather has been used by humans for millennia, ever since the hunters’ and gatherers’ era. Essentially leather is animal skin, which goes through a process called tanning, that prevents leather from rotting after it has been put to use. Leather quality does not solely depend on what type of animal it is sourced from, but also on which part of the animal’s body. Because of this, the end-result will vary greatly, which requires a certain thickness of about 0.15mm and coating is also used on the surface. There are several types of leather, so just the word “leather” itself does not really indicate what you are actually looking at. As a material, leather is very durable, that finds use in the décor and fashion businesses, where it is used in furniture, clothes, shoes and accessories. At first sight, especially with newly created products of each, the difference is very hard to tell. However, if you were to take a really good look up close at each material, then you can spot leather’s “character” per se, whereas PU leather is smooth and shiny and does look synthetic. As for how each feels, PU leather is quite similar to genuine leather but usually more lightweight. Over time, PU leather retains its color but not its composition. Slowly it will begin to crease and then crack within a couple of years, something that does not happen to real leather, unless damaged. UV is also damaging to some types of real leather, but not to PU. Real leather is also quite difficult to cause damage to through puncturing or tearing it, as opposed to PU leather. Lastly, the plastic smell. This is something you can spot with most PU leather, but it is more common for the cheaper ones. How they wear is very different and you can easily tell whether your leather leggings, pants or jacket are genuine or made of PU. First of all, real leather is quite breathable whereas PU is considerably less so. This is what makes leather clothing so great, especially the shoes. Secondly, leather has this ability to kind of “adapt”. This is more commonly seen in leather shoes, which tend to fit better overtime, as opposed to faux leather ones. Starting with PU leather, it is water-resistant to an extent. 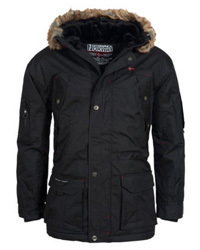 Its water resistance is compromised by the fabric used, which can be cotton, rayon, polyester and so on. 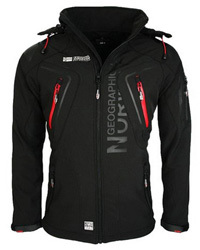 In itself PU is actually waterproof and this can be seen in rain jackets made of PU. As for genuine leather, it is somewhat water-resistant but you are better off avoiding water altogether. You can technically waterproof a leather jacket or leather shoes, by waxing for example, or waterproofing sprays. When it comes to durability, as we mentioned above, leather has a lifespan of 10 to 20 years, whereas PU leather will start to come apart much sooner. PU leather has the upper hand in this regard, as it is machine washable and can be easily cleaned by just wiping it down with water. Real leather, on the other hand, requires a lot more time and money to look after. The main issue is from it getting too dry, which needs to be fixed with leather conditioner. If you want your leather to keep its shine, then polish must be used. You need to watch out for salt deposits and figure out whether your leather jacket can be cleaned with water or not. Is it worth it? Sure, if you are up for maintaining it appropriately. 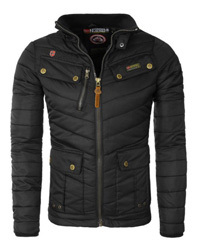 Jackets made of PU leather are in abundance and quite popular, actually, which can be attributed to several factors, such as its very affordable price as compared to leather, being low maintenance and sparing animals. You will find biker and other leather-like styles of jackets made of PU leather everywhere, sometimes even being advertised as real leather. 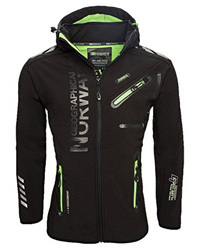 What is the difference in regards to jackets? First and foremost the longevity. A leather jacket can be worn for many years, consistently and still retain its look and quality. 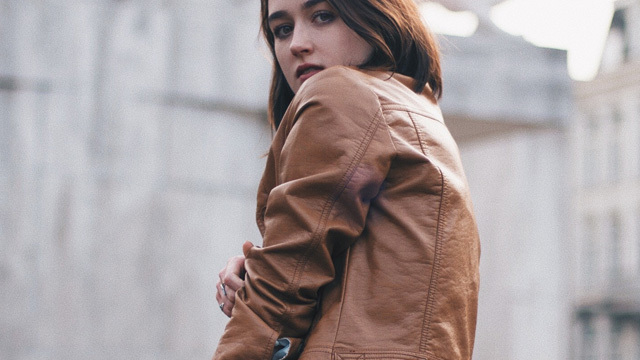 A PU leather jacket will start to crinkle and peel the more you wear it, which means that you will have to re-buy it if leather jackets are something you enjoy wearing. Then on how each jacket wears, huge difference too. We mentioned that real leather is breathable and that surely shows on the jackets, or any other clothing made of real leather actually. PU leather doesn’t mix well with warm temperatures and it overheats quickly, causing excessive sweating and discomfort. Also, a genuine leather jacket will age gracefully, in a sense, as the color gets better with time. So it all comes down to what you will be wearing the jacket for and how much you are willing to spend.